Keeping your Temple (body) fit! 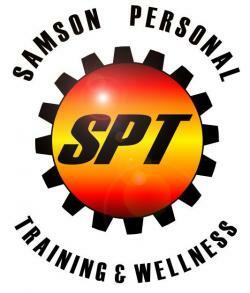 Certified as a Strength and Conditioning Specialist with the National Strength and Conditioning Association (13 years). I can help you with nutrition (which 70% of the challenge in weight management) plus I can put together an effective, tough but fun workout for you using various types of workout equipment including Bowflex dumbells, the Rip 60 suspension trainer, resistance bands, boxing drills, kettle bells, medicine balls plus agility and bodyweight training. I will also motivate you to do more than you ever thought you could! This involves teaching proper exercise techniques so you can get results without nagging injuries. I keep my cost reasonable so that everyone can enjoy the benefits of good health and exercise. B.S. in Dietetics from LSU. New Orleans native, U.S Army Veteran, Louisiana National Guard Veteran, LSU Alumni. My main goal is to give my clients the knowledge to stay healthy throughout there entire lives!